Who does not like the idea of reaching a million people with just one post? Well, unless you are Selena Gomez or Taylor swift, you will find it quite impossible to reach at least 1000 views for your posts on social media platforms like Instagram. For a small company or organization, getting the first 100 followers is a milestone that many startups are yet to reach. Therefore, it is quite understandable when their posts fail to create expected impact on the market. Today, if you ask social media enthusiasts what is the most effective way to reach out to the masses, very few will ever say “Press release”. However, it is still true. This is still one of the most popular marketing tools that both marketing experts and social media experts rely on to reach out to their target audiences. The trick is to use it effectively and properly. This is something very few companies think about adding a “share” option to their posts and press releases on their blogs and websites. If you are creating a press release for your own blog do not forget to include a click to Tweet or Share on Facebook button with your post that enables the user to directly share your post through their respective profiles. It is quite easy actually. You can create free images using stock photo websites and add a short-link to your post. If you are on Twitter, that is great. If not, it is high time you gave your company a Twitter account. Follow it up with accounts on Facebook and Instagram. Before the press release, you must release a brief review of it via your Twitter and Facebook accounts. Most companies stick to the old-school method of using #PressRelease to introduce their releases. While some others use “BREAKING” in bold letters. Both the methods work marvelously until date. 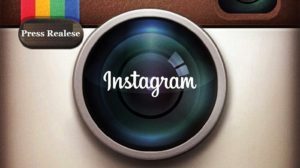 If you are keen on using Instagram as your platform, this advice hold true for you as well. If you are running on a very low budget, forget original images. You can easily settle for stock images that you can tweak. Insert your logo, include a bit of details and voila! You have a post worthy of at least a 100 Instagram likes and shares. You can use the same strategy for Twitter posts as well. Using images on Twitter increases the reach of a press release by at least 10 times. Using just the hashtags is not enough for platforms like Instagram and Pinterest, which are image heavy sites. Since Instagram does not support clickable links like Pinterest, you need to express the concept and the purpose of your brand/release using images. This is hugely popular on Instagram and 9Gag right now. The sponsored content is designed to look like actual posts to your target customers and audience are likely to give as much importance to the advert as much as their regular feed. Promoted tweets are also a great way to reach out to the users other than your followers for Instagram. They are usually pocket-friendly and you can fit them into your regular budget. Their ROI is much higher than the usual PPC ads we usually see on Google and Bing. After Facebook live was introduced, millions were hooked at the same time to see what the world was doing. Instagram has recently introduced minute-long videos after 15 seconds fell short of explaining the purpose of press releases and ads. However, if you can come up with a 15-second video telling your brand story, product launch and campaign, it is indeed the best way to win the audience. The best part is no one expects you to be perfect while posting a video on Vine and Instagram. You can always add your website link in the comments section of Instagram or in the description section of your post. Overall, it is quite safe to say that press release has survived the digital overhaul. It is healthy and hearty in the heart of 2017. If you want your brand to get noticed, a press release is a wonderful economic idea to start with. Our choice of social media platform has been Instagram ever since they introduced their galleries. Now you will not have to stick to just on best picture. You can actually share your brand-story and your press release in a series on 10 photos and videos that can be seen in a carousel. Sujain Thomas is a marketing advisor and social media expert. She has helped over a hundred companies all across the country to gain mass following on social media by leveraging the power of press releases. PRs not only reach out to your followers for Instagram, they can also reach out to the new markets you have not explored yet. PreviousHow does digital signage help you in creating your own brand identity? NextWhere is digital marketing headed and how to stay updated with the latest trends?